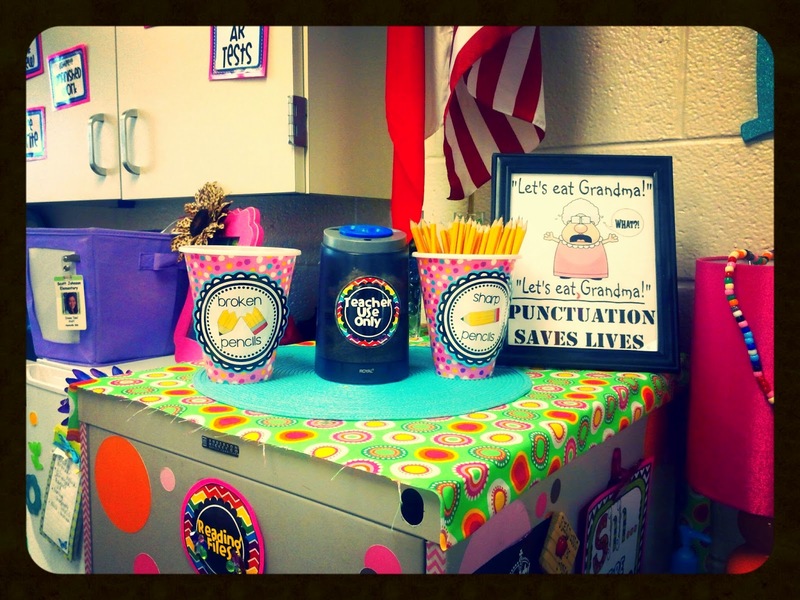 Teel's Treats: Getting ready to INVESTIGATE another year! 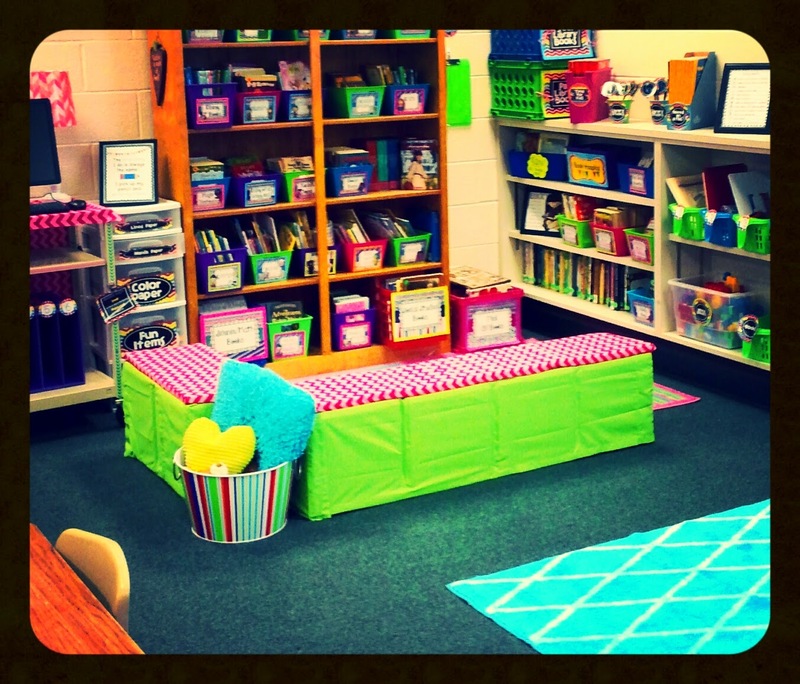 I am SO excited for this coming up 2014-2015 school year! 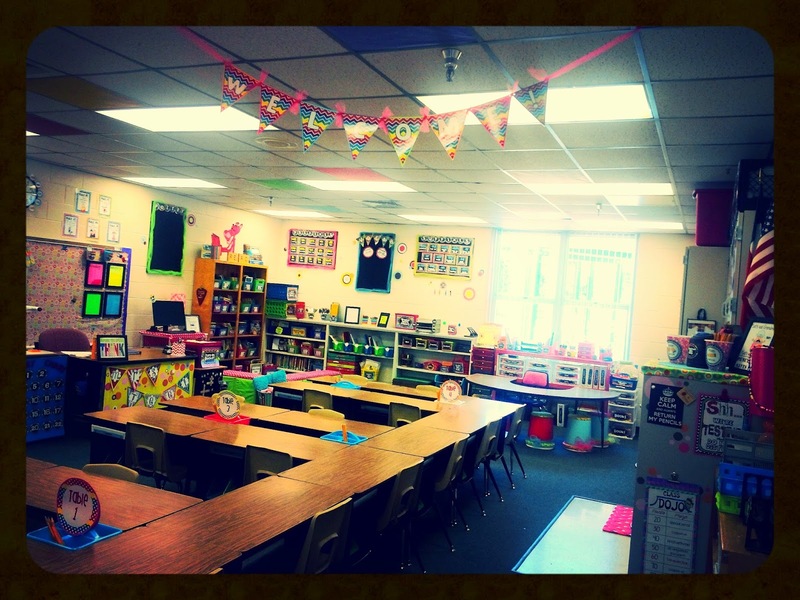 I got a new classroom (one with a WINDOW and I am SO excited!!) this classroom is smaller than my last one, but it feels more cozy. Our theme this year is detective/investigation. 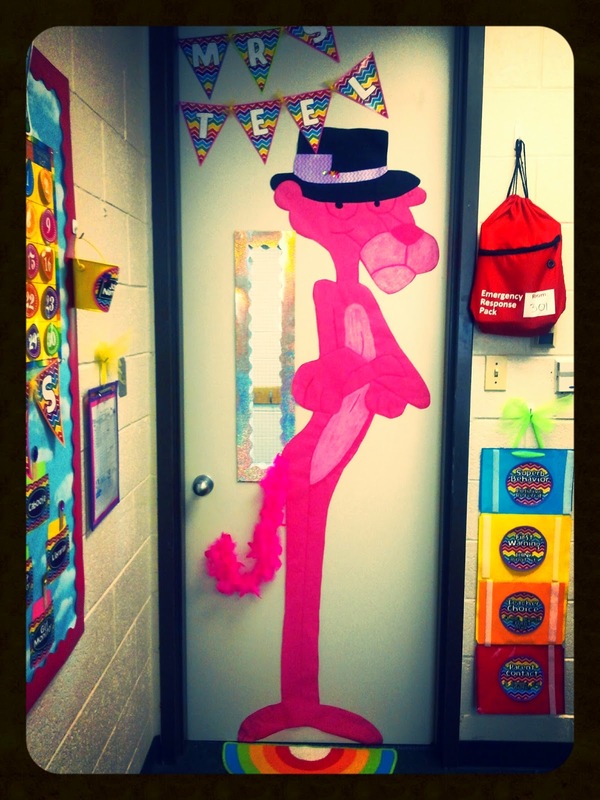 The 3rd grade team lucked out and snatched up the adorable pink panther for us. 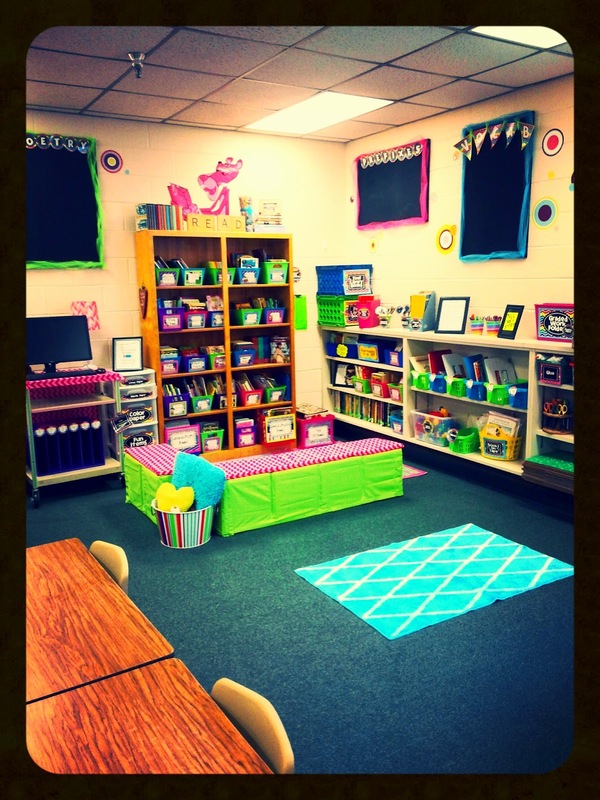 My classroom this year is completely in school theme, I went with bright chevron theme (which you can grab at my TpT store) and with a few pink panthers scattered in there. 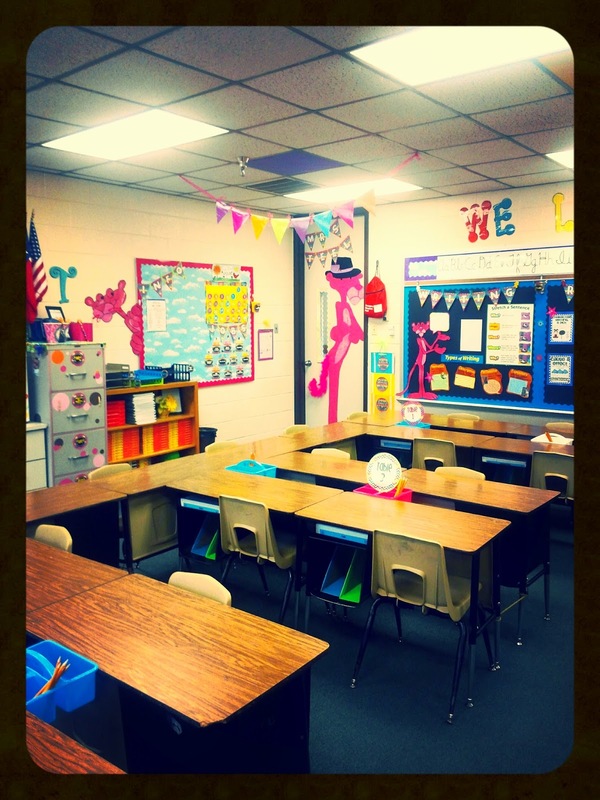 Let the tour of Mrs. Teel's 2014-2015 Classroom BEGIN! First off, I am IN LOVE with my door this year! 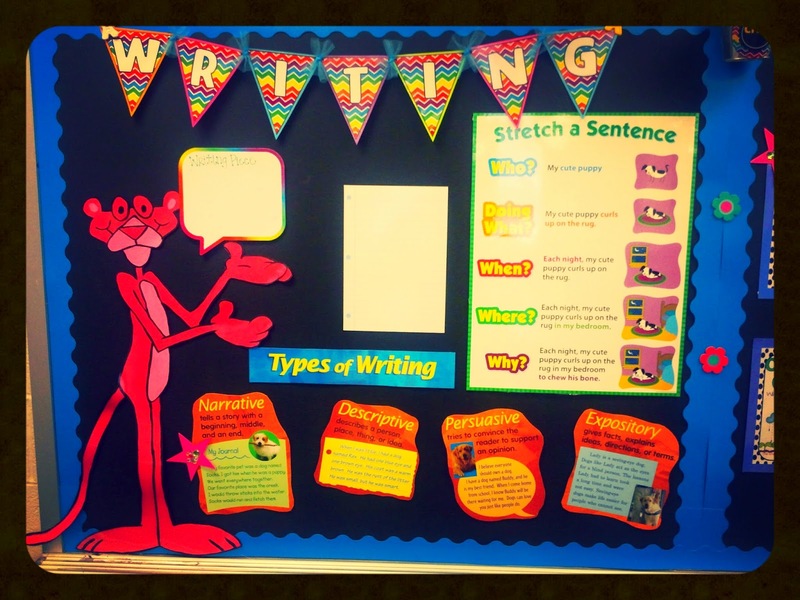 Isn't that pink panther adorable?!?! SO glad we got him!! 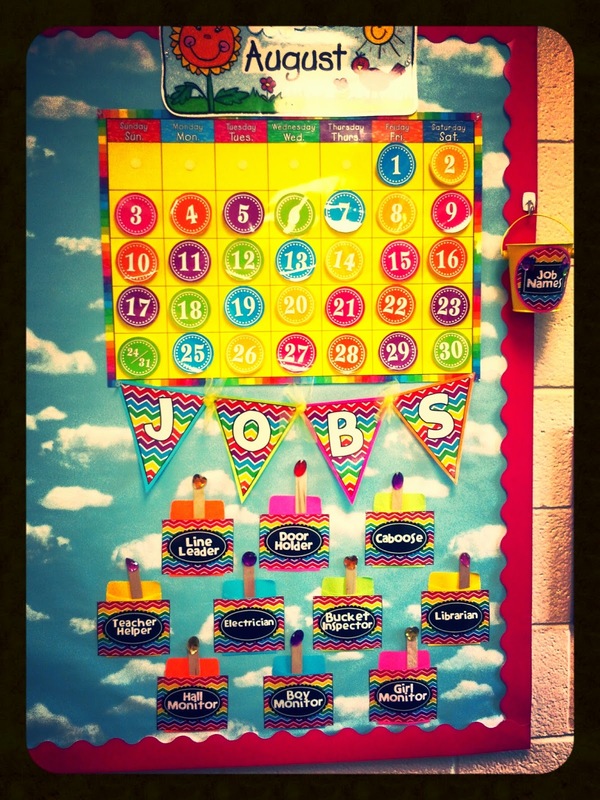 I will write each students name on the Popsicle stick and rotate them through each job on Mondays. The sticks not in the rotation will go in the Job Names pail. This bookshelf is to the right of my door once you walk in. 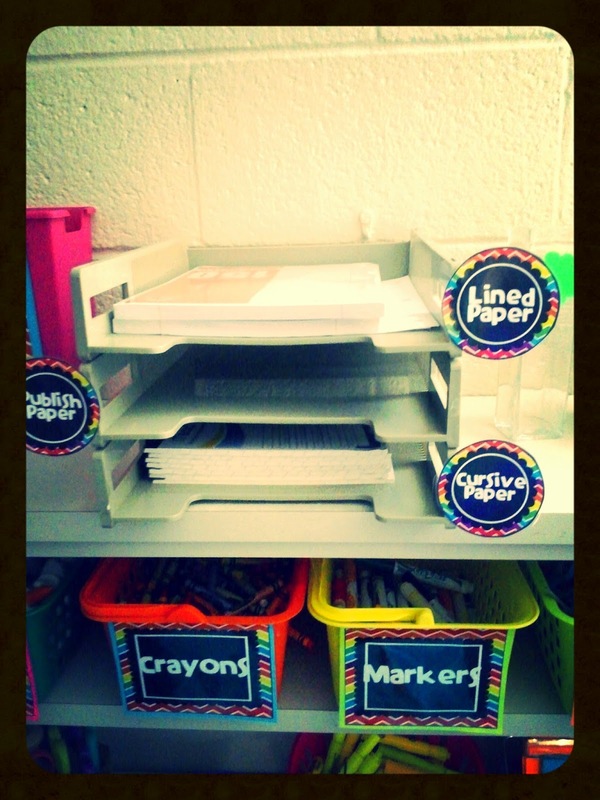 It houses dictionaries, textbooks, and the trays (with labels you can get at my TpT store) is for papers from office to pass out, a tray for things to turn into office, a spot for notes from home, and the colored ones are for my 2 classes (one blue, one green) to turn in any signed failing papers. 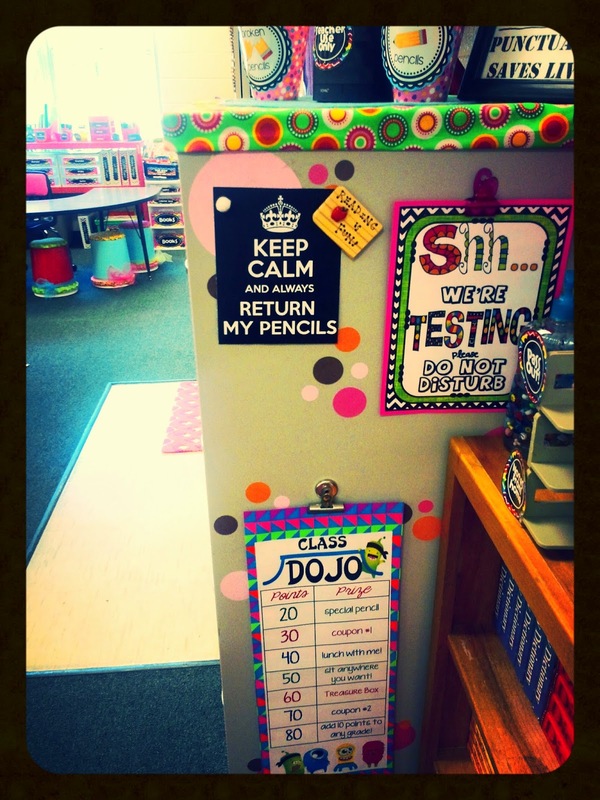 "KEEP CALM AND ALWAYS RETURN MY PENCILS"
The cabinets above my sink. Love that all my storage bins above my cabinets are all labeled and I know exactly what is in each one! 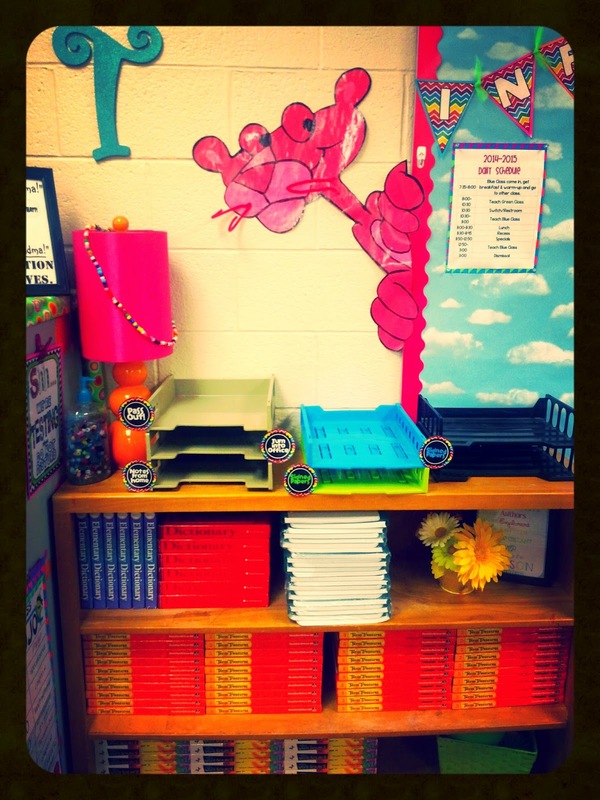 Here is another view of my room looking at the door and that bookshelf! 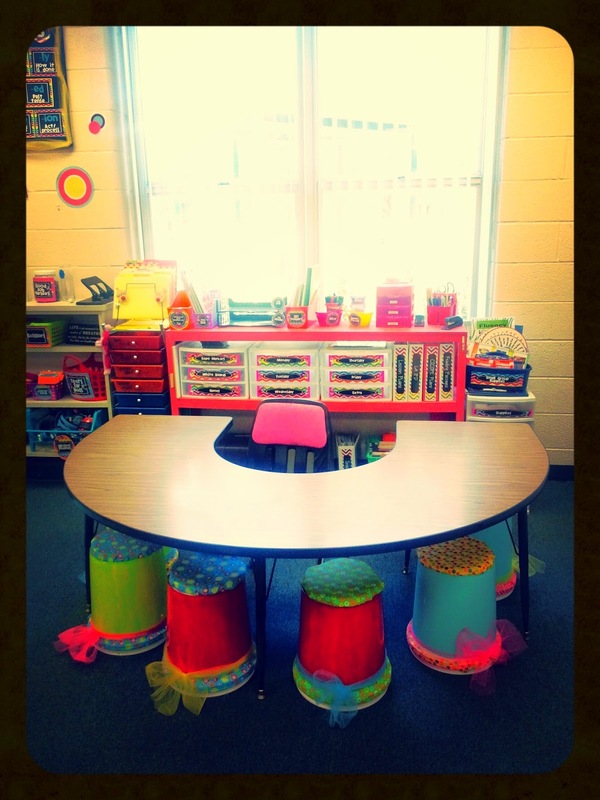 Love my bucket seats I created. Bought the tubs from wal-mart, and turned them upside dow, cut out a circle of memory foam and hot glued the fabric down! Easy peasy. The shelf behind my small group table.. label CRAZY!! A wide shot looking from my small group table. My back cabinets. 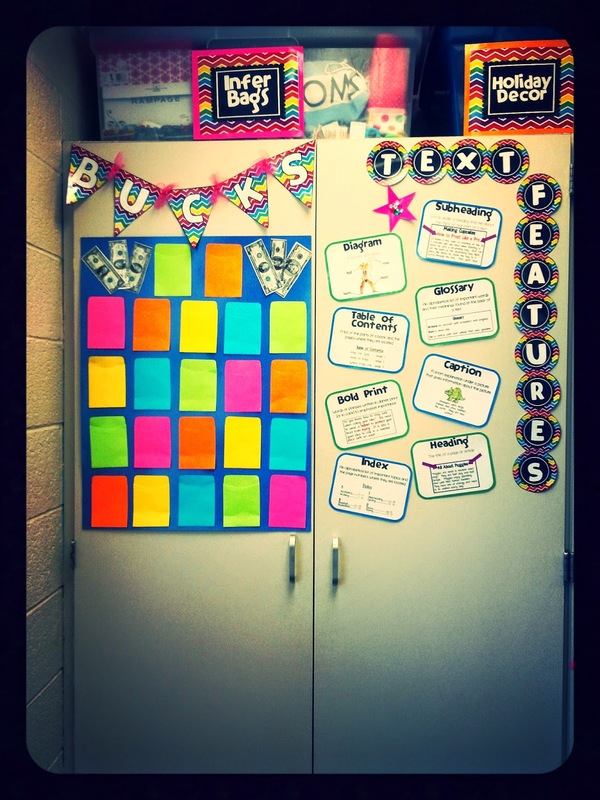 I really wanted a spot for all the major topics we cover in 3rd grade reading, especially the ones that are important to the STAAR test!! 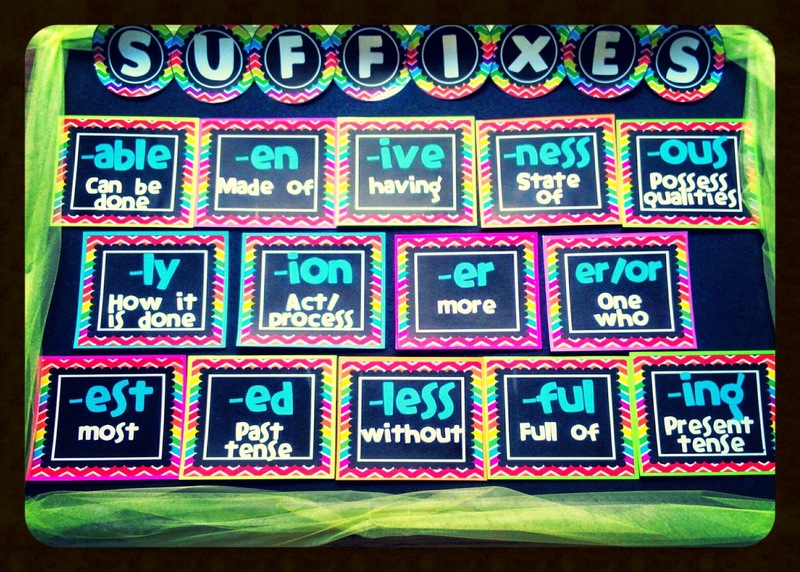 Here is the adorable Figurative Language display and the Grammar display. Again, I will move the pink star to emphasize the skill we are currently focusing on. 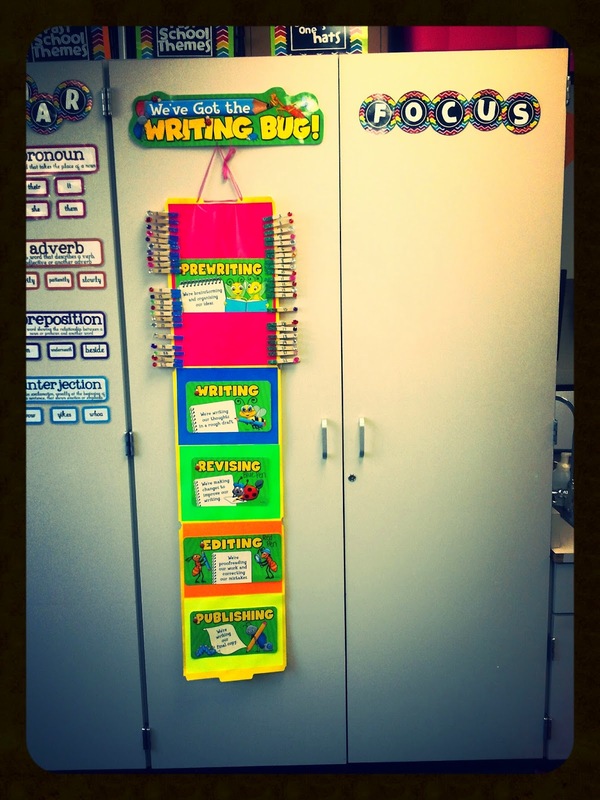 Here is how I keep track of where each student is at during the writing process. As you can see, each of my classes (the blue class and the green class) have a numbered clip that they will move up and down the process. Here is a peek into one of my cabinets... I clearly went LABEL CRAZY this year!! 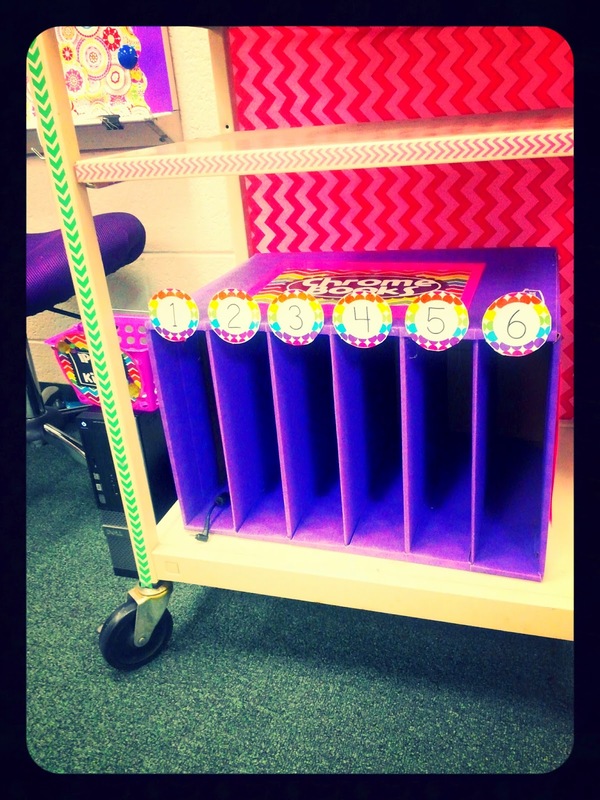 But I am SO excited to be SO organized! I love this arrangement for my desks. 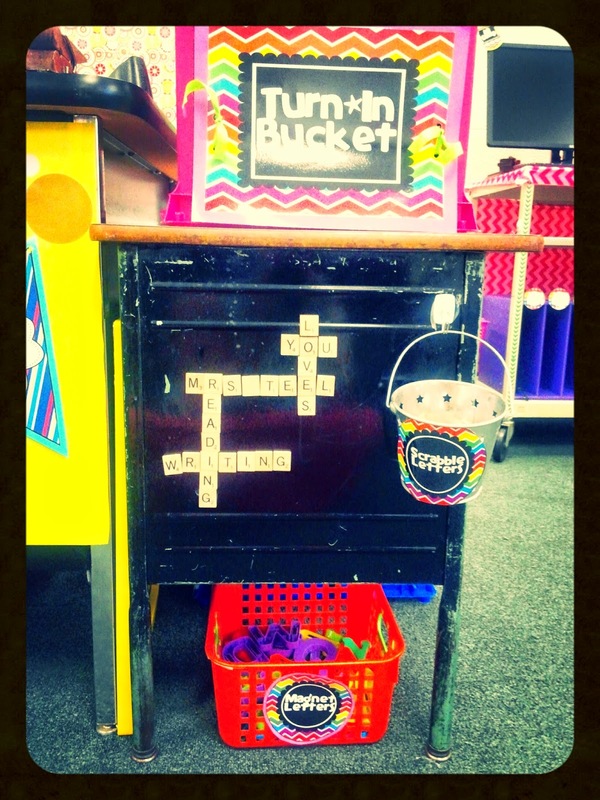 Their supply buckets stay perfectly between the desks (the bungee cords help with that) and the kids are not pushing it to each other desks. 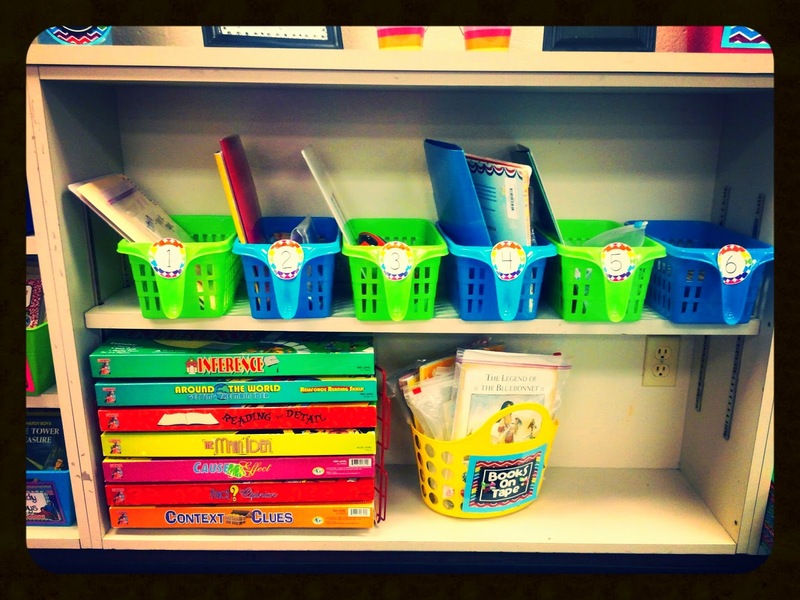 Just pencils in their supply buckets for now! I am also in love with my library. 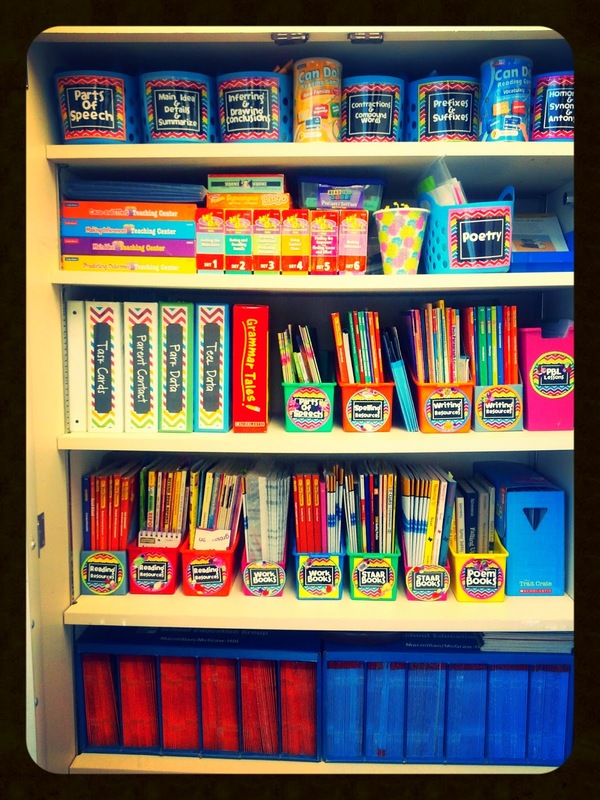 I bought tubs and labeled/organized my library by genres (labels available on my TpT store also!) I LOVE my crate seats too. Turns my library into a very cozy corner. I made these by taking milk crates and covering them with an old green curtain I had, the memory foam, wood and covering the top with fabric. The inside of the crates. 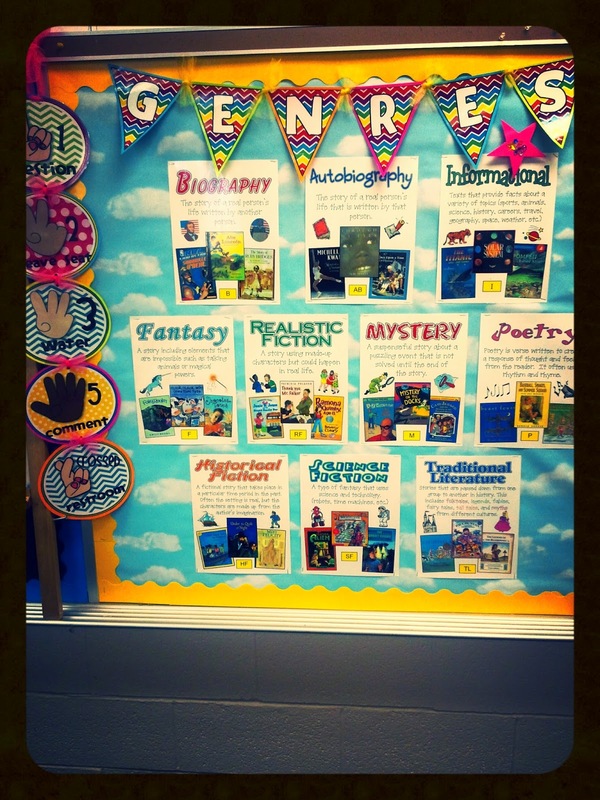 Perfect for those books that don't exactly fit in with a certain genre or over flow books! 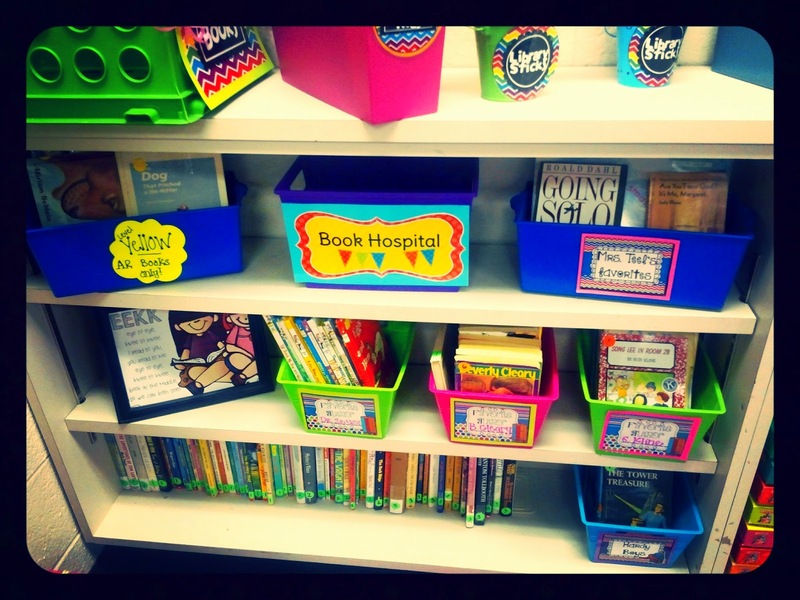 I found this adorable Book Hospital label on TpT and just fell in love! Of course I have my EEKK! Framed and ready to go! 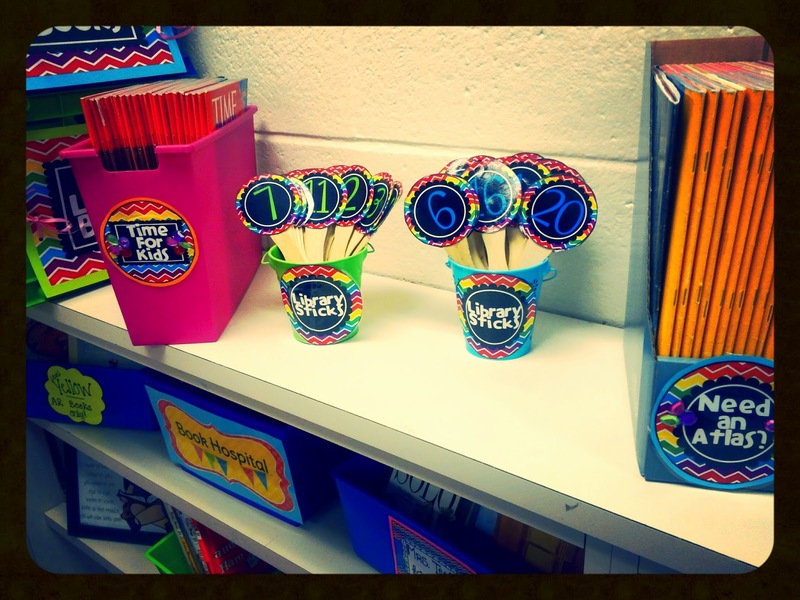 This year I am also going to try my hand at the popular library sticks we have all seen all over pinterest! One for each class of course!! A wide shot looking onto my small group area and library. 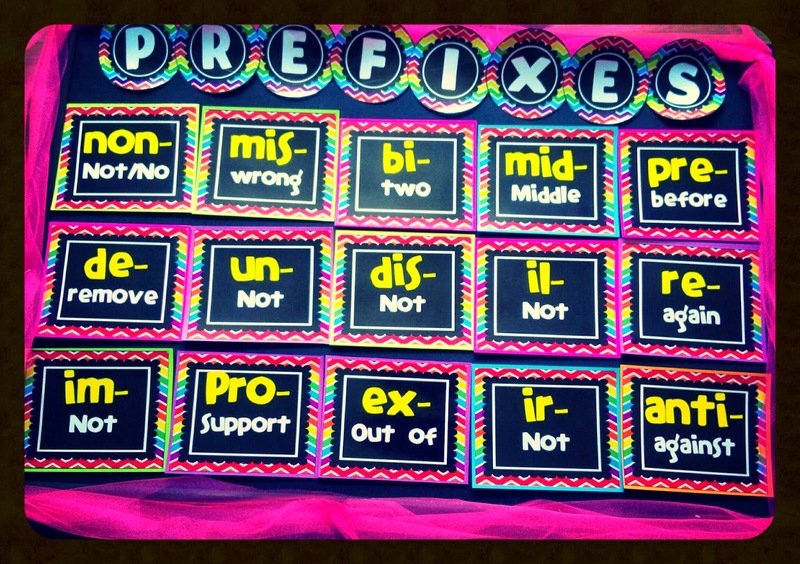 Here are my prefix and suffix boards you can see above the shelving. My MEGA desk. 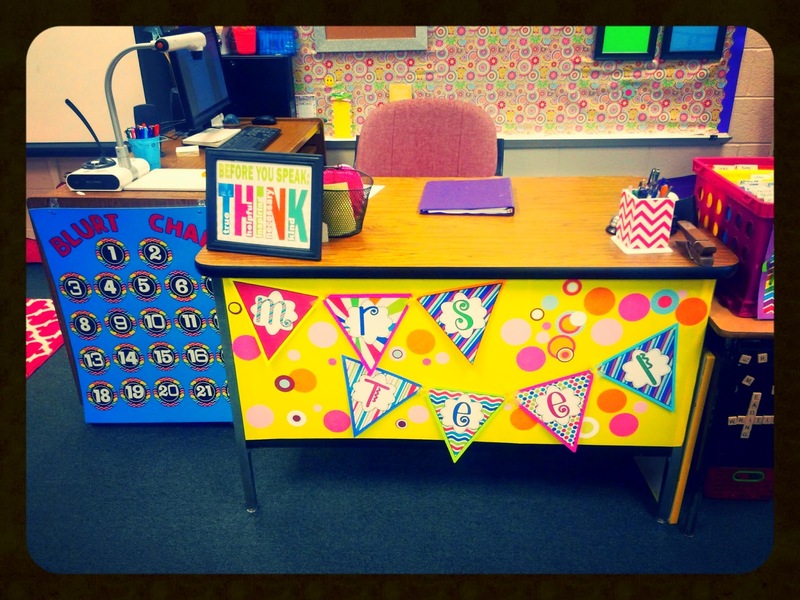 I have never had such a large desk area before but so excited that all my wires are hidden and I could decorate the from of my desk with my name!! A shot of behind my desk. Covered an ugly board with fabric. It is so bright and cheery! 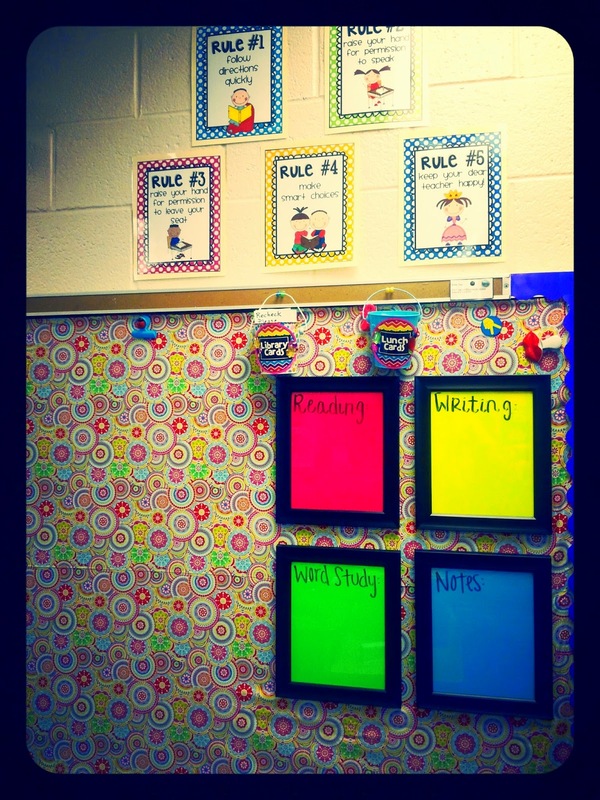 Here I will write what we are doing each day in the my reading class! Plus the too cute rules I found on TpT! 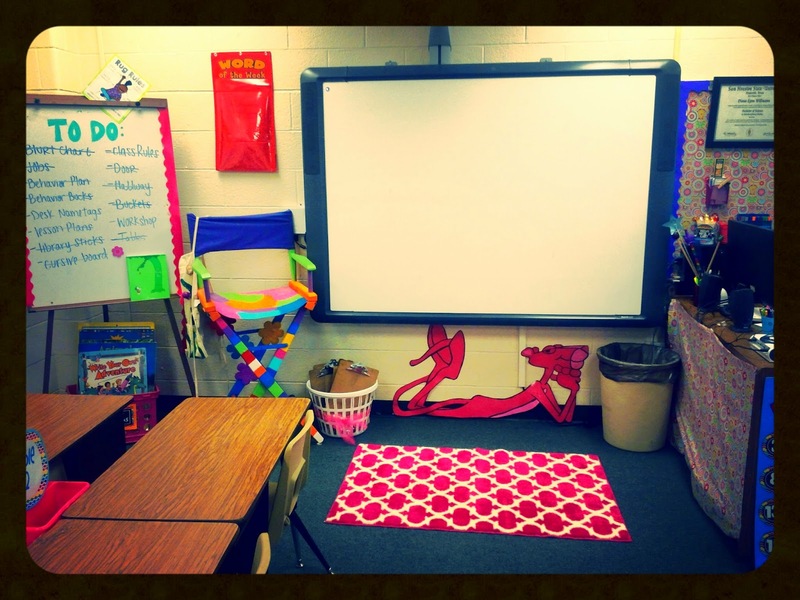 My promethean board, floor space and white board. 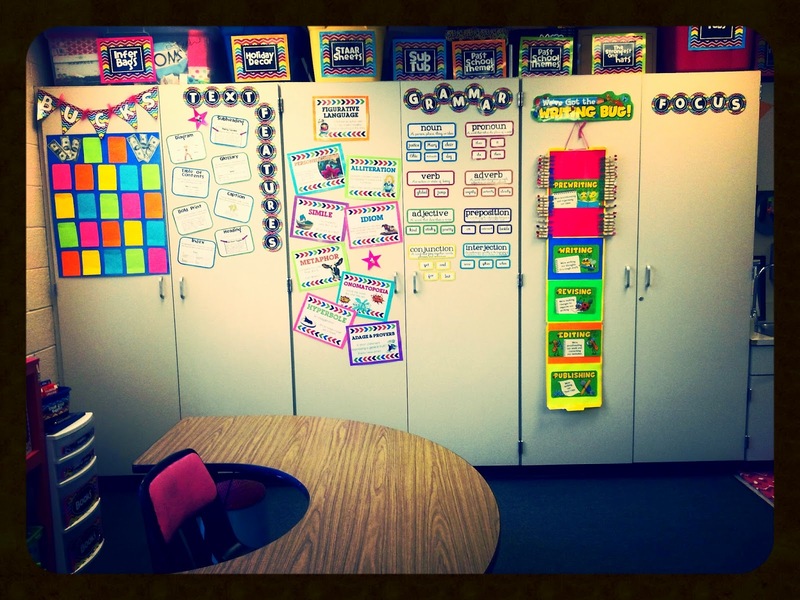 I don't have any student backs to the board, and it is where our lessons take place! This is the side chalkboard directly to the left of my door. 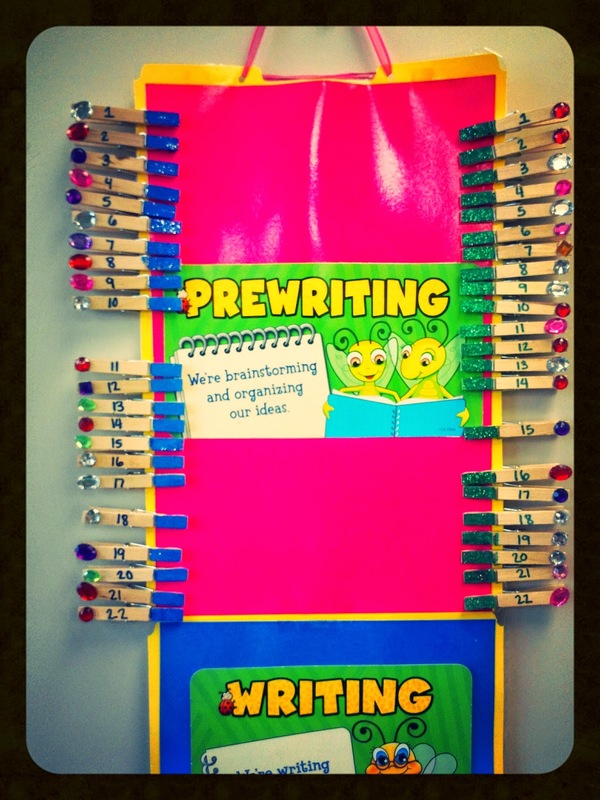 Here I have this board broken into 2 parts: Writing and Reading. 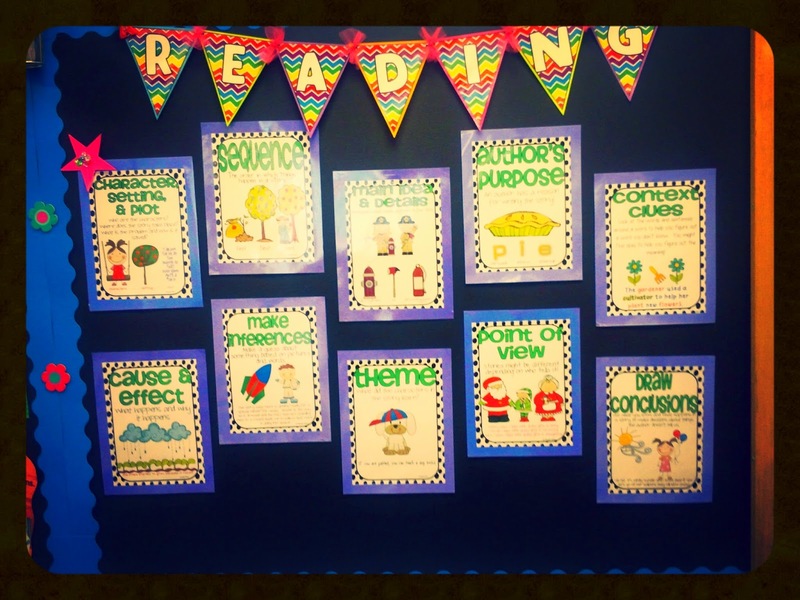 Each with different important skills we learn throughout the year. 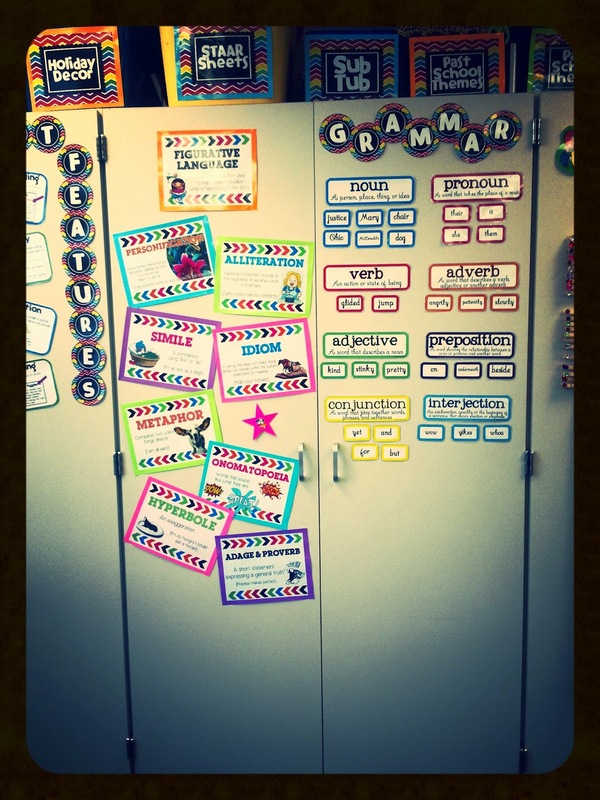 The pink star will be pinned to the type of writing we are currently doing. Here is the reading side. Again, the pink star will move next the skill we are focusing on that week! 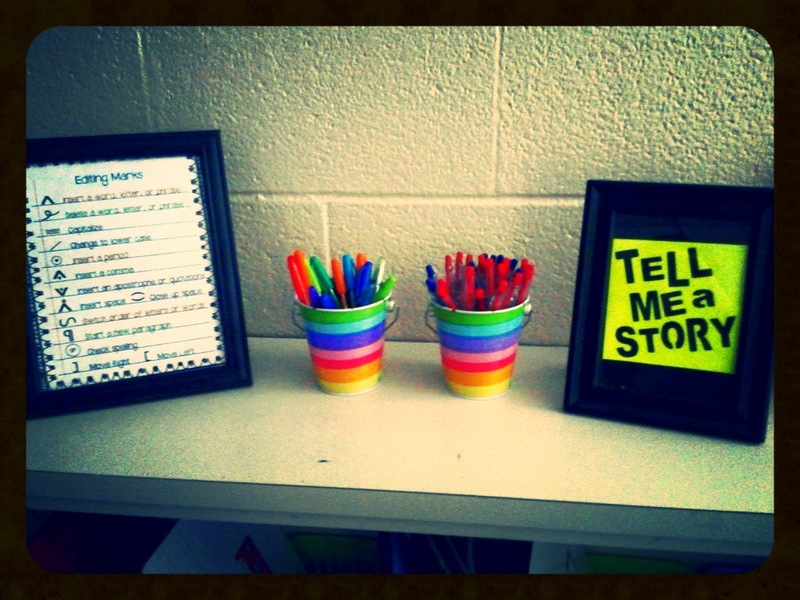 I have created a working on words station next to my desk for students to spell out spelling words. 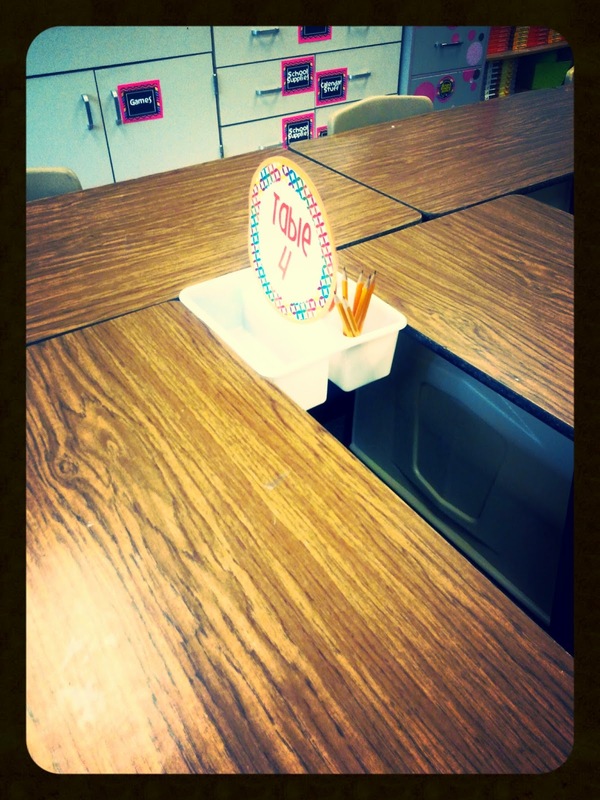 On top of the magnet desk is their turn in bucket. On my campus we each get 6 Chromebooks. 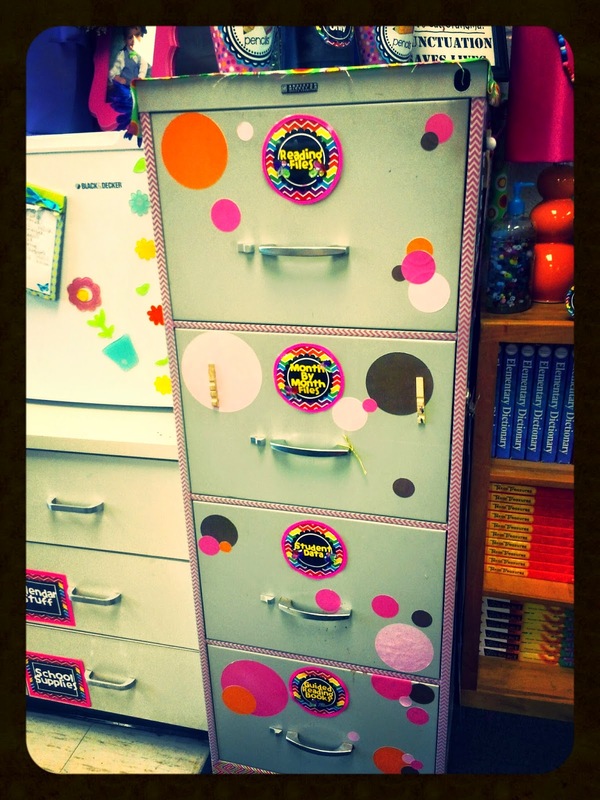 I am so excited to use this niffy charging station I created! 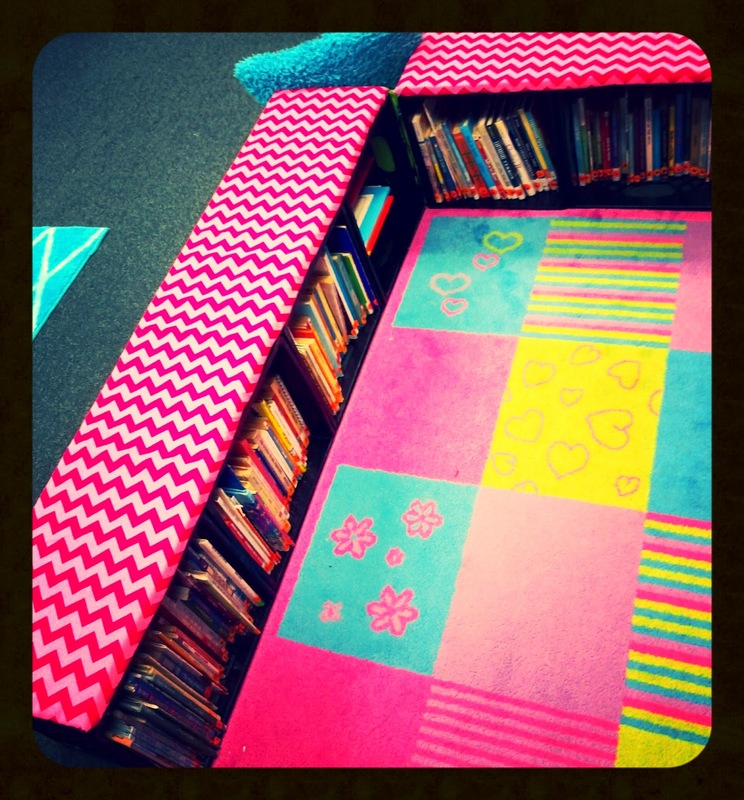 Here is that back shelving unit by my library. It holds my stations/buckets for daily five. I am missing my tape recorder for my books on tape! 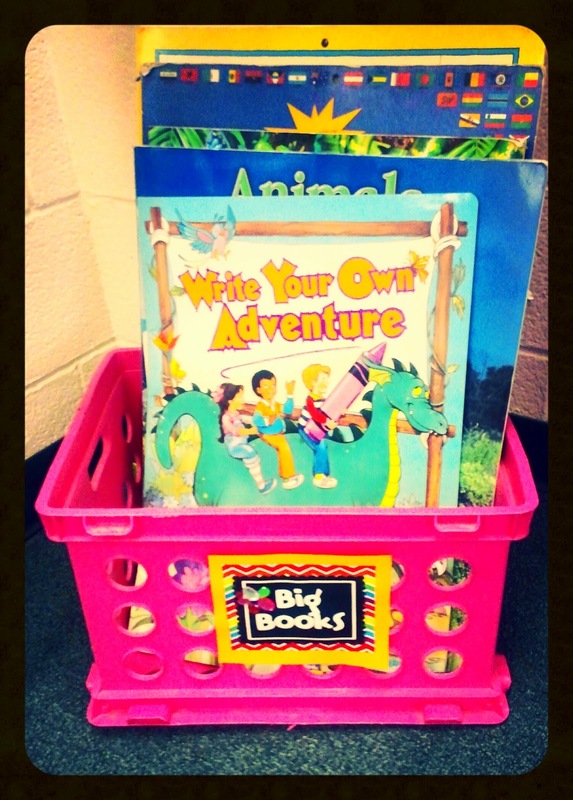 Here is my big books station for daily five. 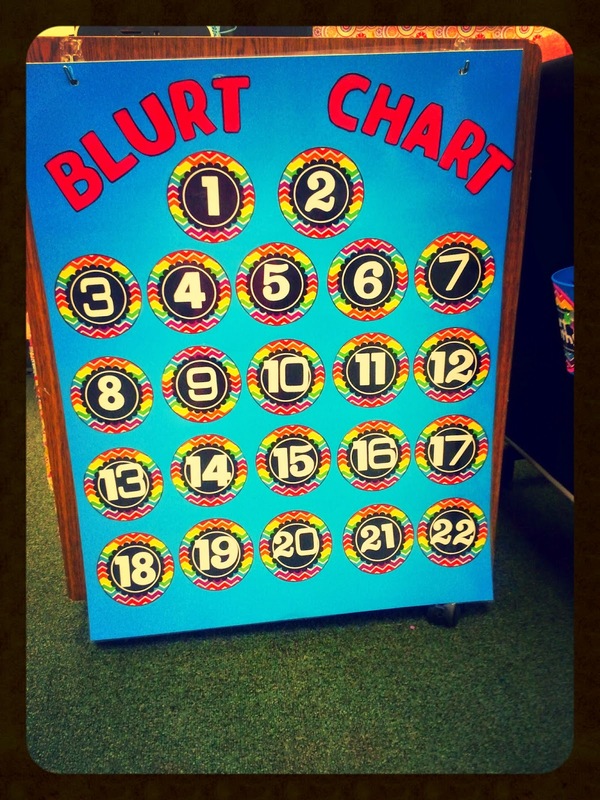 It is underneath my big whiteboard by my Promethean board. This is also apart of my daily five stations. I use this for creative writing. 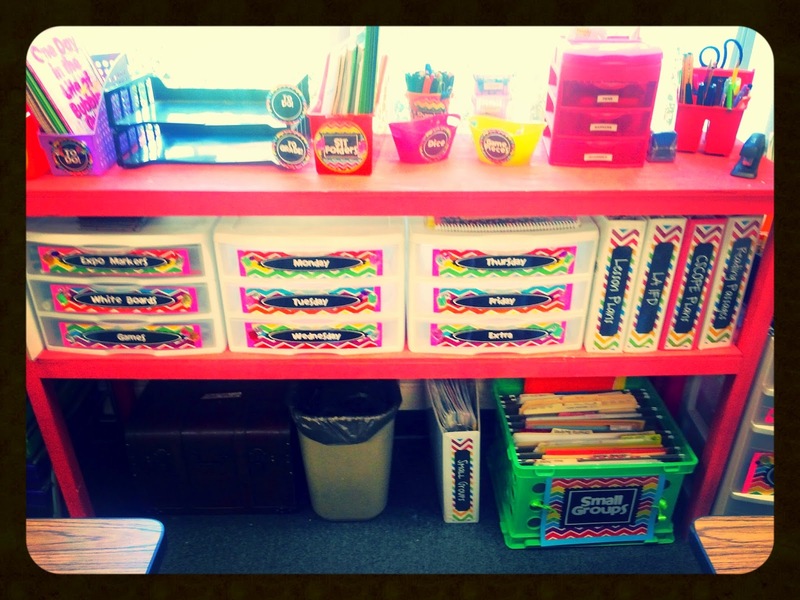 Also on that back shelving is my colorful pens and revising/editing pens for students to use during the writing process. and different supplies they need during their time with me!!! 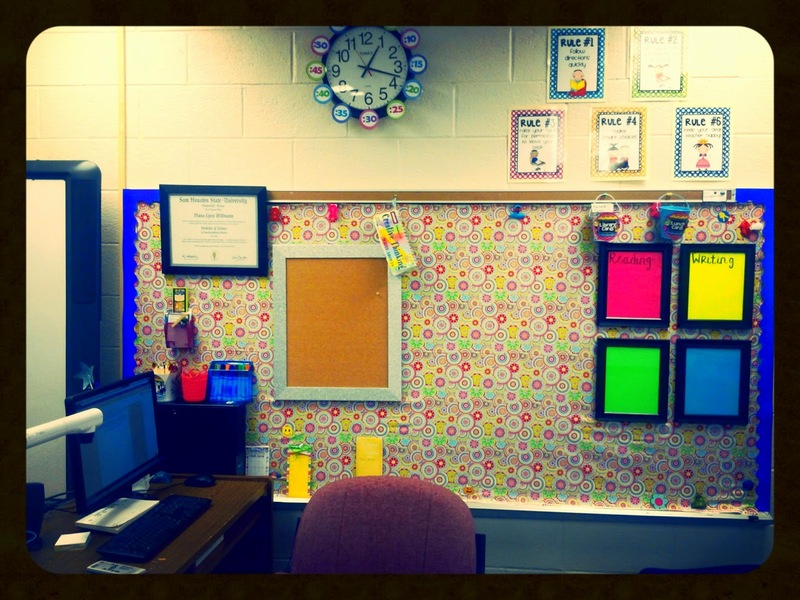 I will blog again once I have all my Daily Five stations up and running! Pink Panther Purrrfection! 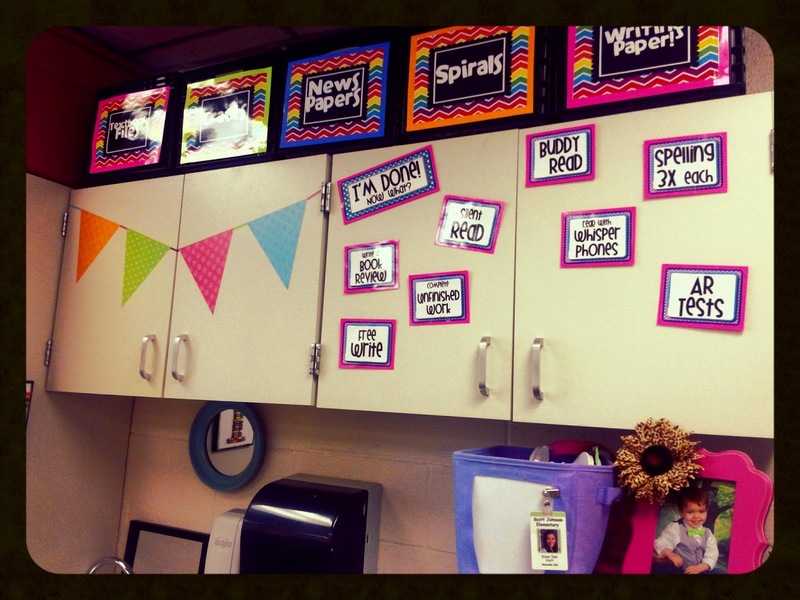 I have a "feline" your students are going to have an awesome year! Oh my!! I love it! 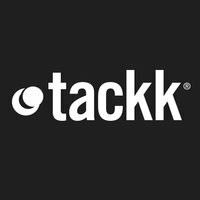 Where in Texas do you teach?? 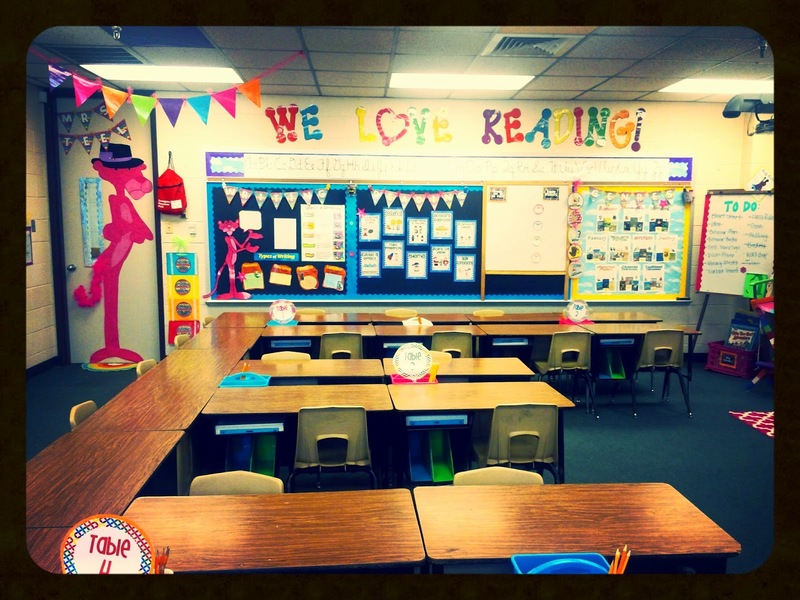 I will be teaching 3rd next year for the first time! I would love to correspond about ideas!! I teach in Huntsville, but won't be teaching 3rd grade next year but will be teaching 6th grade social studies. Sad to be leaving behind the familiar, but excited for a new challenge! 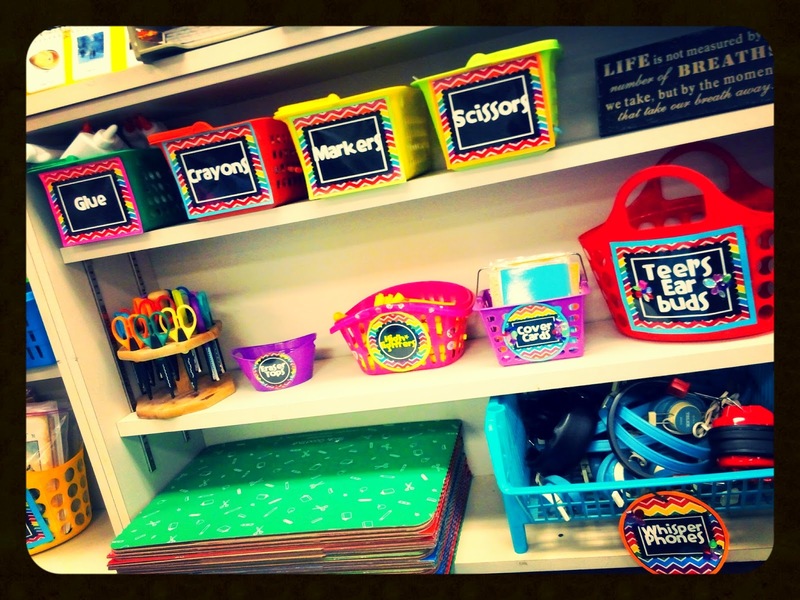 I would love to get the figurative language signs and the text features but I didn't see them in your TPT store. Where did you get them? 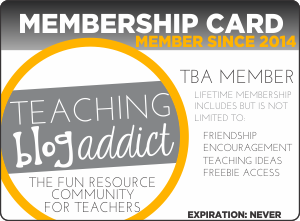 I got those from TpT my first year, I can not remember the stores though! Iam sorry!! I hope you still see your comments but I am desperate for that We Love Reading banner/lettering. Where did you get it? If you made it please let Me know where and how so I can get that made this week ASAP! So sorry, just know seeing your comment. I bought that sign 5 years ago from the sale bin at a teacher store. Hi! I know this was a year ago but I do hope you still check this blog. I ended up having my aunt make those letters for me and I LOVE it! So did my students this year! 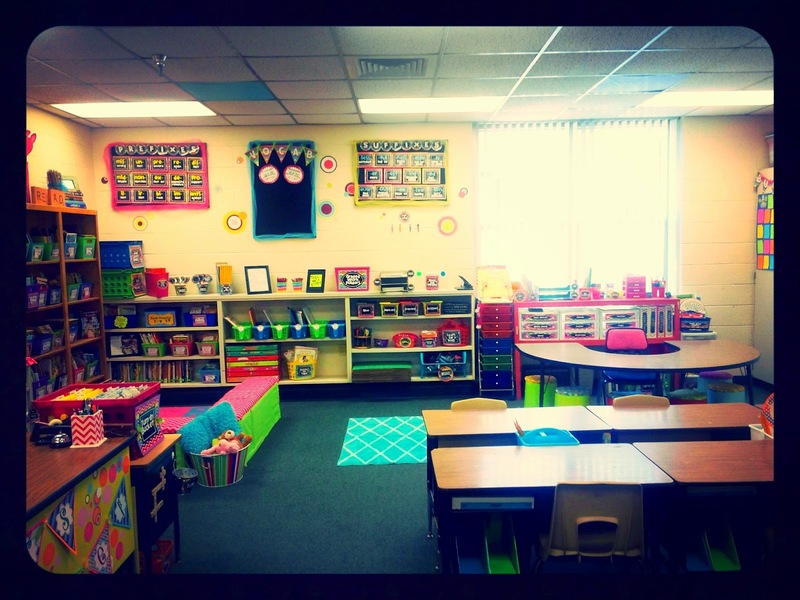 Do you have any more pictures of this classroom other than this investigate theme and the oceans one? 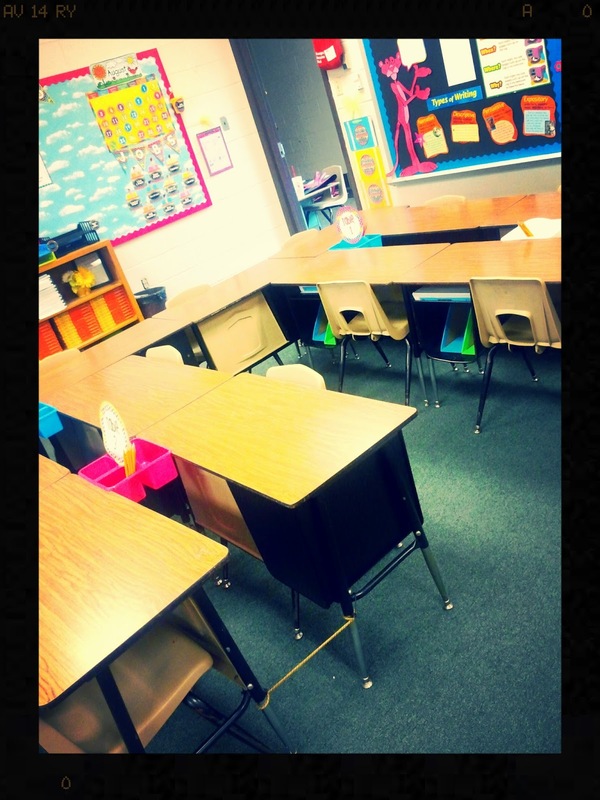 I know you aren't in it anymore but my new classroom has these exact type of desks and they are driving me crazy on how to configure my room. I want to say my room is just about this size as well. Most likely on sale at Marshalls!